Guest student blog post: Student Learning Technologists – A peer-to-peer support network or a feedback mechanism? Ensure lecture recordings via Echo360 for our cohort are published to a good standard. Assist staff where necessary to improve the quality of these lectures or provided materials. Monitor and maintain RVC Learn (our Moodle site) for our cohort and provide any assistance needed. Feedback and communicate with the eMedia Unit (http://www.rvc.ac.uk/emedia) any issues with these systems. We see, hear and discuss things that might otherwise go ‘off-the-record’. We are able to feed this back to relevant staff before it become mission critical and can start looking to implement the right things at the right times. For example, in 2015 the RVC decided to switch all first year courses at the RVC to a paperless handouts system for environmental and other reasons. In response, my role during the first half of the term included assisting students transitioning to paperless, enhancing digital literacy and providing help with paperless annotation tools and cloud syncing to get them settled as quickly as possible. I am happy to report that this has been a success thanks to the hard work of myself, the other SLTs and my colleagues within eMedia. Ground work has to be done to ensure we know exactly what to add, change or remove in this new digitally literate curriculum. How do you find out what students are doing well or struggling with? Heaven forbid, perhaps an email survey? We students are (mostly) lazy. Unless there’s an incentive or something is very seriously wrong, we probably won’t do it. Broadly speaking, we don’t make the connection that this is crucial to our future education. I also see my role as SLT including being a contributor new ideas as to how students can use our existing technology in better ways based on our ‘ground work’. 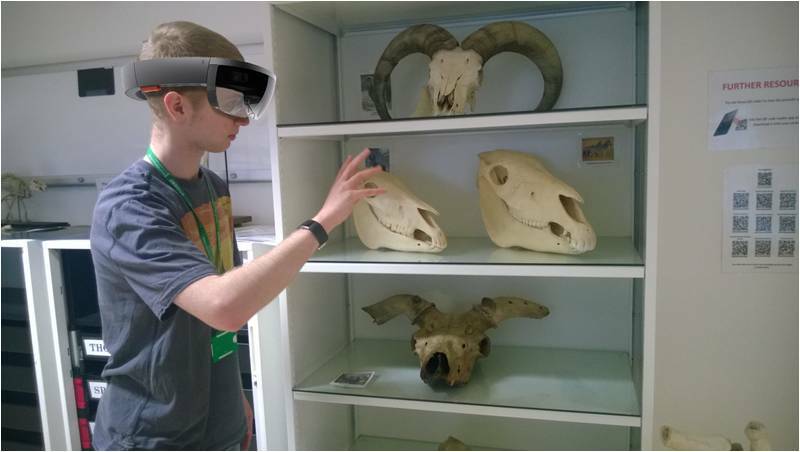 One example is the project I have undertaken for development of a Microsoft HoloLens/Windows app that would be accessible on all form-factors to assist students in their anatomy education outside of the classroom. 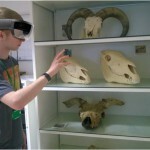 You can read the proposal (and vote to signal your interest to Microsoft) at http://is.gd/AnatomyAug. I bounce ideas about, not because I’m paid or that it’s indirectly part of my job. I do it because it’s better to share and discuss them than never see where they lead. An idea cultivated on one day could be implemented in a few months versus a few years if it is brought to the attention of the relevant people sooner. The SLT programme is much more than a group of eager students wanting to help out and get paid for it. It’s a mechanism by which we can find out what the best path to go down is and start thinking about how to do it before it becomes detrimental to the student experience and digital literacy. We can plan to do the right thing so it’s less expensive and less time consuming than doing the wrong thing. It was good to see that Jisc has also been promoting digital literacy more widely to students and staff around the UK. I was fortunate enough to meet some of the Jisc digital student experience project team at a London Digital Student Meet Up (LDSM) at the RVC. I have been particularly impressed by their Digital Student Experience Tracker and that there is a commitment to fund student innovation through the Summer of Student Innovation (SOSI) which I feel is important in trying to gather interest and engagement. In conclusion, I believe that the best people to support and inspire our students to become more digitally literate are other students! Posted by Ellen Lessner on February 26, 2016 in Uncategorized.